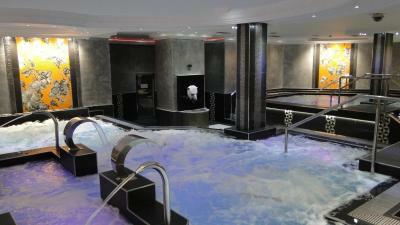 Lock in a great price for Hotel Spa Princesa Parc – rated 8.2 by recent guests! We really liked the location. Really easy to get to and from the gondolas for skiing. The staff were friendly and the leisure facilities were really good and affordable. The cocktail bar is outstandingly good!!! Great staff there too in all the bars. Everything was perfect. The hotel is located 2 minute walk from the gondola that takes you up to the ski lifts. 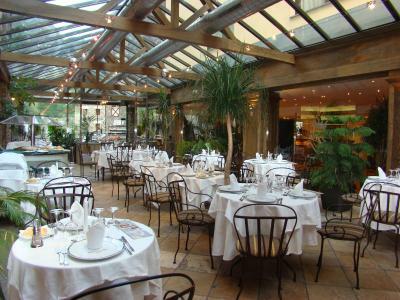 The food was very nice and varied (different buffet every day of the week). On the first night we've missed the dinner but were told by the hotel staff to phone them if we are running late and request a "cold dinner". On our arrival the table was set with a lovely selection of cold meats, salads and wine! 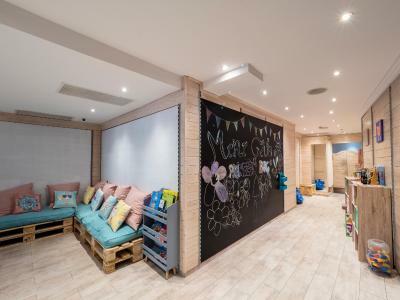 The Spa was amazing - we went there with kids every day of our stay after skiing. Nice bar with live music before dinner. Can't recommend this place enough!! Very comfortable bed. Great spa. Amazing caring staff. We stayed at Hotel Spa Princesa Parc for 3 nights. 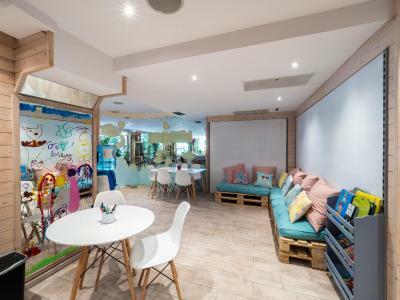 It is an inter-connected hotel complex of 4 buildings, great spa area, excellent breakfast / dinner service and a fast Wi-Fi. Location is excellent: it takes ~5 minutes to walk down to the Arinsal Cabin lift of Pal/Arinsal and the same time to get to the bus stop if you want to go to Ordino or to Pal. The bus wait time is about 20 minutes. We also liked the fact there are numerous cafes / bars / restaurants around you can enjoy even at noon unlike other places in Andorra. Personnel is super-friendly, helpful and speaks 4 or 5 languages. The hotel offers a comfortable stay (rooms are warm) and plenty of choice at breakfast, and we were pleased it took pets so we could bring our small dog with us. A short walk from the gondola so very convenient for the slopes. The only thing really to highlight with this hotel is the amazing hot tub are, although it doesn´t have a real hot water tub. 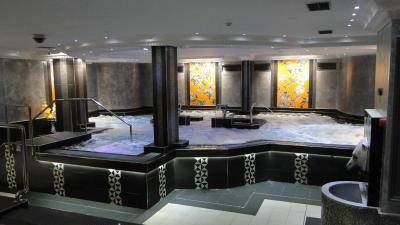 The installations are big, clean and much better than many SPA places you can find elsewhere. But, remember 15EUR for 2h extra and only with anticipated reservation. 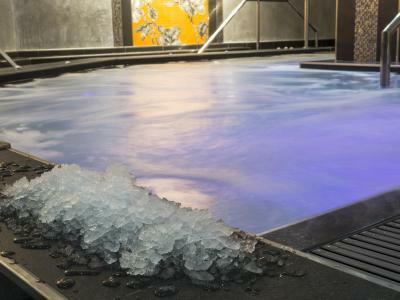 Hotel Spa Princesa Parc This rating is a reflection of how the property compares to the industry standard when it comes to price, facilities and services available. It's based on a self-evaluation by the property. Use this rating to help choose your stay! Hotel Spa Princesa Parc has a seasonal outdoor pool, as well as bowling lanes and an extensive spa. 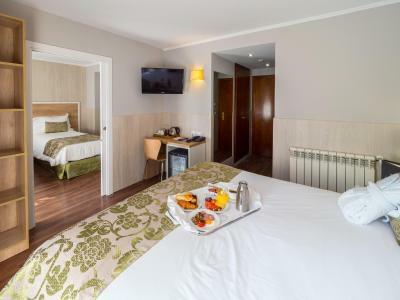 The hotel is located in Arinsal, just 350 feet from the cable car. Free WiFi is offered throughout the property. 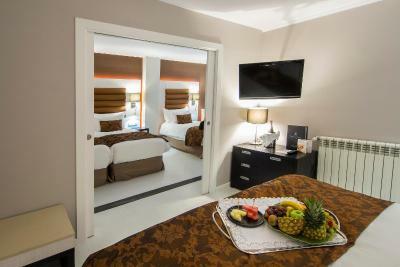 The rooms at Hotel Spa Princesa Parc feature a flat-screen TV, a safe, and a mini-bar. 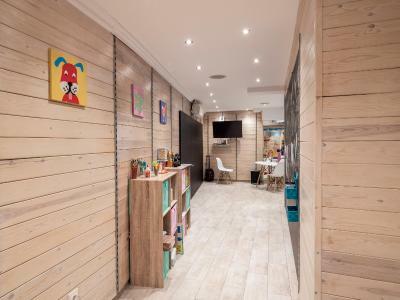 Each one has a private bathroom with free toiletries, bath or shower, and hairdryer. Some have fantastic views of the valley. The hotel's buffet restaurant serves international food. The piano bar offers live music during winter, and there is a pub-style bar with wooden paneling. 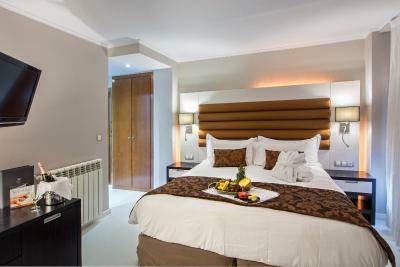 When would you like to stay at Hotel Spa Princesa Parc? This spacious, modern room includes free Wi-Fi, a flat-screen TV, safe and mini-bar, as well as tea and coffee-making facilities. 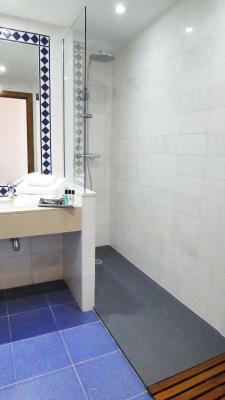 Toiletries and a hairdryer are provided in the private bathroom. Please note extra beds are not available in this room. 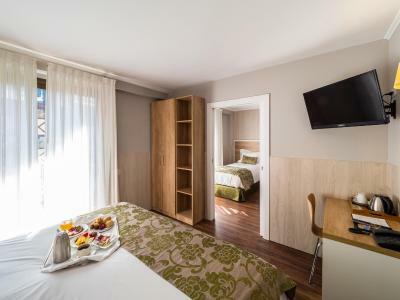 This spacious, modern room includes a TV, safe and mini-bar, as well as tea and coffee-making facilities. Toiletries and a hairdryer are provided in the private bathroom. 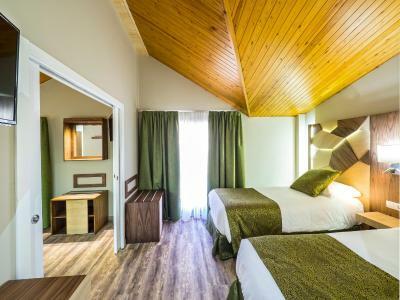 This spacious, modern room includes free Wi-Fi, a flat-screen TV, safe and mini-bar, as well as tea and coffee-making facilities. Toiletries and a hairdryer are provided in the private bathroom. There is free WiFi. This rooms includes a 2-hour spa access (reservation is required). 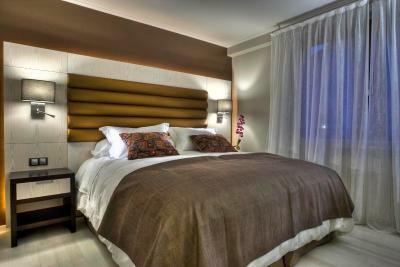 This spacious, modern room includes a flat-screen TV, safe, and mini-bar, as well as tea and coffee-making facilities. The private bathroom comes with free toiletries, shower, and a hairdryer. 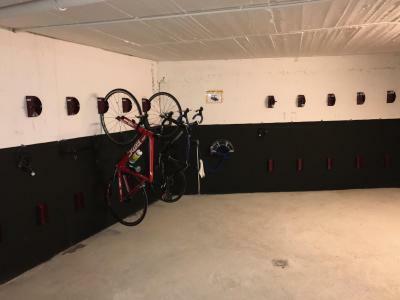 - Bike repair and cleaning area. 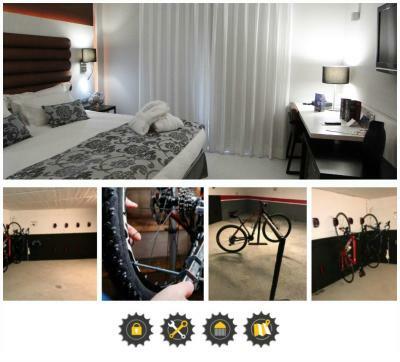 Please note it is mandatory that the guest brings his own bicycle. 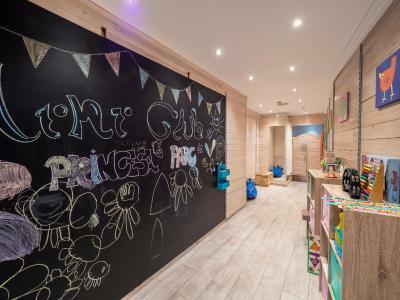 House Rules Hotel Spa Princesa Parc takes special requests – add in the next step! Hotel Spa Princesa Parc accepts these cards and reserves the right to temporarily hold an amount prior to arrival. Please note that the spa’s opening hours schedule may vary in low or high seasons. Please contact the hotel for further details. 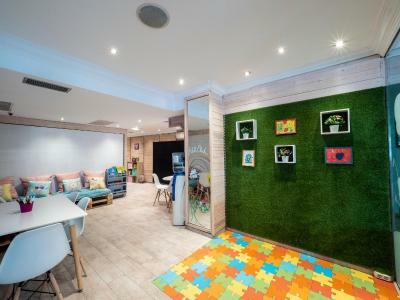 All children, to 3 to 11 years old, must be accompanied by an adult at all times. It is compulsory to wear flip-flops in the spa. If you do not have your own, you can buy them at the center. Please note that extra charges are applicable for the use of the spa facilities, bowling and pool tables. Please note that the outdoor pool is open from 15 June to 11 September. 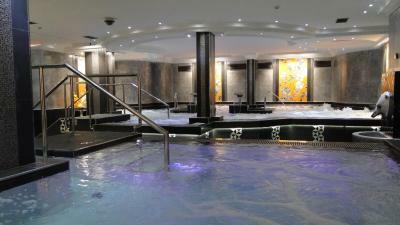 - Unlimited access to the spa, as well as bowling and pool tables. To be booked in advance. 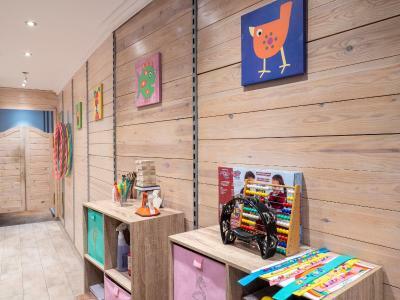 - Free children's Mini club, in high season only. We were a little frustrated that the Spa/Sauna facilities were an extra cost, rather than included in the hotel price, which is the usual case in other hotels we’ve stayed in. We a half-lux room (or something) but it was still cramped, barely enough floor space to walk around two ski bags. It takes 2 lifts and involves quite a bit of walking inside the building to get to your room. The shower had no thresholds or steps so you end up having water in your room after taking a shower. Twin beds as always is a problem. Arinsal feels alpine and novice-oriented and there were not much to do there so we liked the Pal sector more for its' beautiful forest zone. Connection there is frequently closed due to the winds and you have to take an overloaded, frequently full bus to Pal or Ordino. Had to pay for spa and ski lockers which was disappointing. Not as well located as others described with only a few restaurants nearby. The spa seems to be the main selling point but was slightly disappointing in real life, especially the fact it comes at an extra cost of 15€ pp. Good that the hotel has parking but again seemed a hidden cost at an additional 10€ per day. The standard of the hotel does not match the prize tag. The rooms are equivalent to any regular 3 star hotel if even. We have stayed at block B, the access is following a strange corridor, an elevator that you exit through in the staircase, and following a nice industrial emergency exit door you enter the room areas. 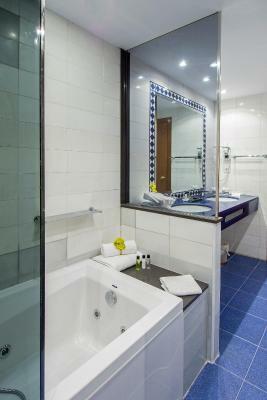 Once in the room forget about lot of space, or a bath tub, straight shower that out of 3 nights only 1 worked with hot water. WiFi connection does technically not work at all, really messy if you are on vacation and try to look up thing in the night. The toilet paper is worse than the cheapest you can get in LIDL. And I won´t enter in details like the toilet brush, he will probably only get his retirement when reached his 67 year on age. 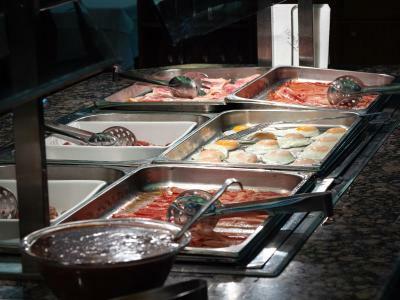 The breakfast is definitely not a reason to highlight, although it has everything in mater of appearance the taste is far away from what it should be considering 255EUR/night. I was previously in a little cheap hotel in Barcelona for 60EUR/night and I was impressed, things were fresh, but definitely not here. Regarding the parking lot, well if you like to hit your bottom of the car on a nice rocky laydown area muddy and overfilled then this is your vacation dream become real. We approached the Hotel Manager with our concerns, he listened to our concerns and had us offered one night free accommodation, very kind. Unfortunately we decided not to stay again due the unpleasant previous experience. Summarized, everything would be fine if the Hotel would not have four stars and such a price tag, because then the expatiations would match the reality.